Marketing campaigns incorporate all of the creative aspects of a producer. You can utilize video, photos and design aspects to make your campaign a success. Production planning is a definite joy of mine! I have organized both small and large events. I understand all aspects of production to have an event well-organized and planned out, so that those involved in the event can truly enjoy themselves! 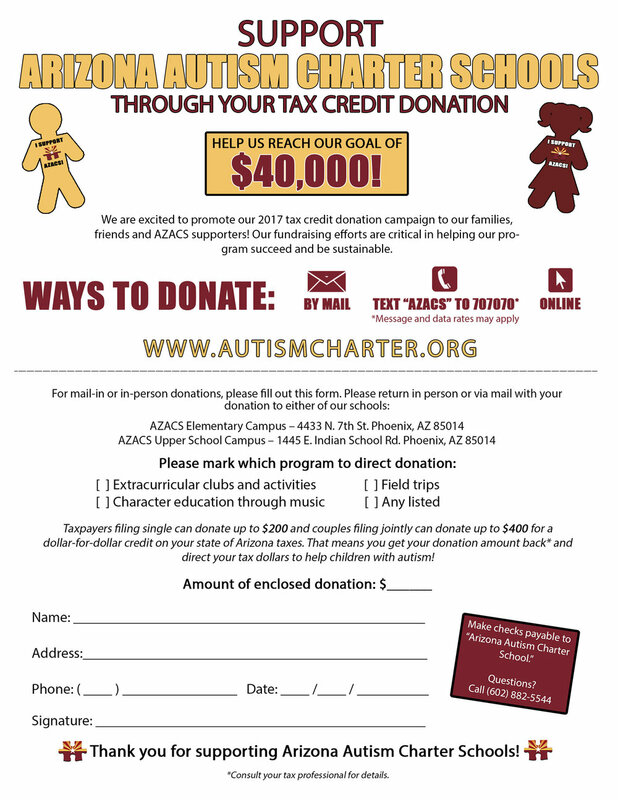 Below is example work from a non-profit Tax Credit Campaign on behalf of Arizona Autism Charter Schools. I organized the social media, newsletter, website, posters, banners and video needs for their campaign. From printing elements to their online presence, I made sure that all aspects were organized for the 2-month-focused campaign. The first year we did the campaign, in both regular and tax credit donations throughout that year, over $25,000 was raised. Come year two, over $34,000 was raised. In 2017, OVER $40,000 was raised! Having a strong campaign strategy helps spread the word of what your organization or company needs. Click HERE to be redirected to a blog post highlighting this event and all details to my role in this event! This event obviously involved an army of individuals to get the school ready, but my particular task was to help organize the schedule and media/production portion of his visit (the Governor would be speaking, along with other influential members in the autism community). Please feel free to contact me for specific information of my role during this event! "Christie helped plan and coordinate my daughter's first birthday. For all you parents out there, you know how special a first birthday is. Christie went above and beyond my expectations. She was always on time, helped with the planning, décor and dessert creations. She made my daughter's party memorable and special. My husband and I received so many compliments from our friends and family. I do plan on using her again for all my party needs. I am confident any person who uses Christie will be just as impressed with the outcome as I am." It's time to bring your website marketing ideas to the world!